The hashtag has become a widely used symbol in the world of social media. The hashtag, which uses the hash mark (#), also known as the pound sign, allows for an unlimited amount of information to be categorized into the same shareable, linkable space provided by its hashtag. However, many businesses fail to use this social media tool to their advantage. Below I’ll explain what a hashtag is, why it is important to implement them into your social media marketing strategy, and how to do so successfully. 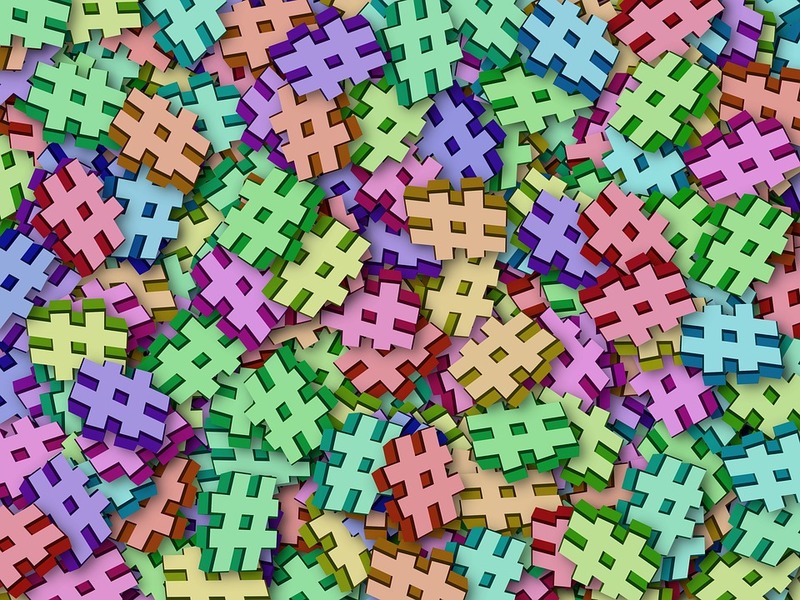 A hashtag is a hash symbol (#) followed by a word, acronym, or short phrase. The hashtag is then automatically linked to all other social media posts and files using the same tag. 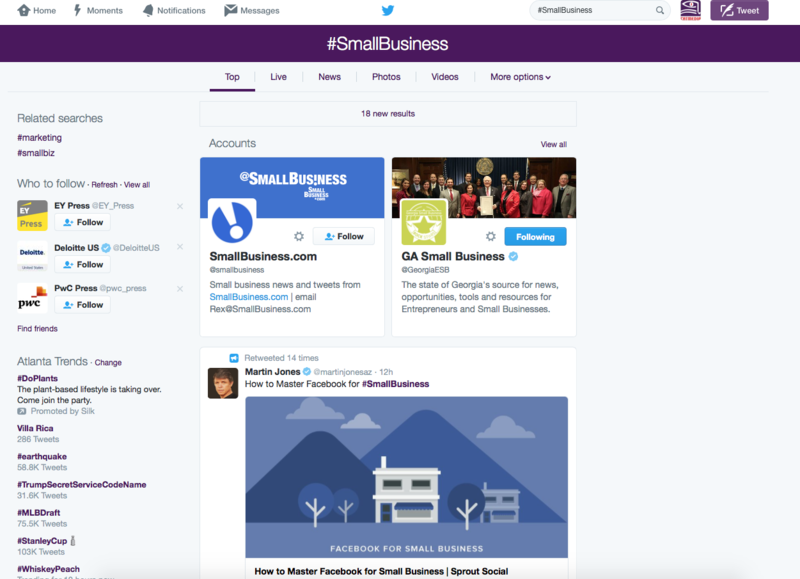 For example, if your company uses the hashtag #smallbusiness in your social media posts, all of the posts will be linked to any other social media users’ content under #smallbusiness. This tool categorizes relevant materials and allows users to tag and search using the most used hashtags associated with your content. Chances are your business has some form of a social media marketing plan, and if this is the case, you should be using hashtags to sort your materials. Facebook was one of the last social media networks to recognize this tool in 2013. Now Facebook, Twitter, Instagram, Tumblr, Google+, and Pinterest all use hashtags to link data. If your company has accounts on any or all of these social media platforms, using a hashtag is an opportunity for you to expand your reach. Hashtags not only link your social media posts to other relevant ones, but they allow your business’ posts to be viewed by a wider audience. When you include a hashtag on your social media posts, even people who have not liked or followed your page will be able to see it when they search the hashtag. This tool allows customers and other Internet users to search relevant content without confusion. It is also important to remember that even if you have created a hashtag, the public is still able to use it. This is an important aspect of hashtags that might affect business. If your hashtag starts being used to collect content that you do not want your company associated with, you may need to change it. Engaging with the public through hashtags is usually quite beneficial for businesses. Companies often use hashtags to get the word out about upcoming promotions, giveaways, or competitions among followers. These promotions not only allow your business to reach a wider audience, but they also encourage social media users to interact with you and purchase your products in the future. However, it is extremely important to research before creating a hashtag for your business. If you search a hashtag and see that it is either already being used to collect material that is irrelevant to your business, you should choose another tag. The Internet’s most used hashtags are short and easy to remember, but if a hashtag is too vague it may be a good idea to come up with something more specific. For example, if you are promoting your small business, it’s probably not a good idea to simply use #business on your posts. This hashtag is most likely already being used by thousands of social media users and won’t lead viewers directly to your content. 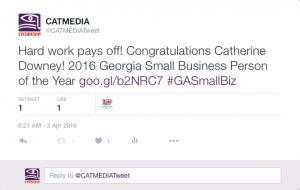 However, if you are a small business in Georgia looking for potential clients or the work of other small businesses in Georgia, using the hashtag #GeorgiaSmallBusiness could help you do so. Another important factor to remember when using hashtags is to not overuse the tool. 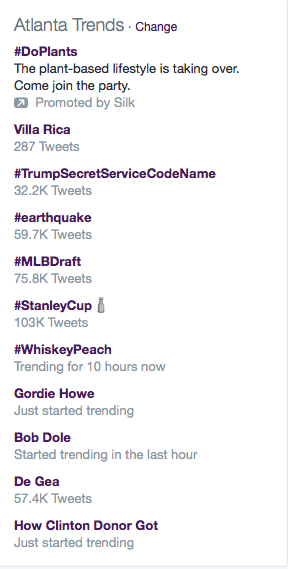 It is important to only use trending hashtags if you are actually discussing whatever event the hashtag refers to. Using too many hashtags or simply adding in trending hashtags to your posts will just add clutter to the tag. These posts generally get overlooked because they can overwhelm the viewers. On the other hand, it’s important to make your hashtags stand out. Some of the most used hashtags on social media platforms are popular because they are either eye-catching, easy to remember, or funny. It is important to keep these tags relatively short so that social media users will actually remember them. However, simply using #dog or #likeforlike won’t really help your business because these are some of the most used hashtags and include a lot of unrelated content. Hashtags can be used to target certain audiences based on the types of things they search. Your company can also use trending hashtags to reach an even broader audience. If there is a breaking news story or a hot topic in pop culture, you can use hashtags to add your input to the topic. Because the most used hashtags are being viewed by thousands of social media users, if you use a trending hashtag in your Instagram, Facebook, or Twitter posts, a huge audience will have access to it. Following trending hashtags allows users to keep up-to-date on events, which is a great opportunity for your business to stay informed and share information as well. Businesses use hashtags to track company performance and improve customer service. Hashtags also allow companies to respond easily to customer feedback. If customers post about your product or service using your hashtag, you have access to these reviews and can see how they progress. For example, if your company is making a major change, using a hashtag can allow customers to share their thoughts on the change (good or bad) with one another. Seeing these reactions gives businesses a chance to adapt based on the reactions they receive. The importance of hashtags on social media is steadily increasing in the business world. Hashtags allow businesses to follow other trending hashtags, keep up with events, promote products through competitions and giveaways, and track customer satisfaction. These small words and phrases string all relatable content together on various social media platforms and help businesses reach wider audiences. Hopefully these tips will help amp up your company’s hashtag game and grow your business! What suggestions or questions do you have about the use of hashtags? Please share in the space below. Nice blog post its a very good and descriptive information .. yes i also use hashtag because its highlight the important words and give a viewer focus.